Design and Create professional Facebook pages FREE with Coolfbpages. Customizable with easy drag / drop interface. Social media marketing, store, slideshows,statistics and analytics. 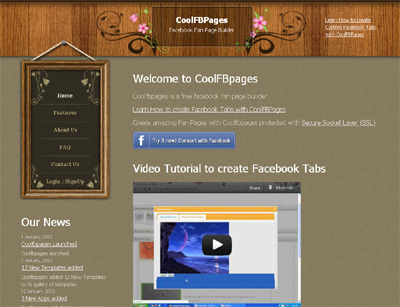 Create Free custom business pages with Coolfbpages Drag and Drop interface. Social Media marketing tool with free professional templates.